Orchard Cottage is in the heart of the village of Happisburgh (Norfolk) and minutes’ walk away from a sandy beach, local dog friendly pub and iconic lighthouse. The cottage has a large, private garden and off road parking. Inside the cottage is light, airy, and comfy and kept to a high standard of cleanliness. Happisburgh is a very peaceful and beautiful seaside village with a lot of history and is very popular with all our dog owning guests. Furniture throws, different size dog bowls, dog bed, stair gate, high secure fencing, large garden, dedicated outside dog loo, dog towels, large & medium sized crate, poo bags, holiday collars and complimentary dog biscuits. There is off road parking for 2/3 cars on our gravel drive. The parking is next to the entrance gate into the garden. There is no parking restriction for additional cars on the road outside the cottage. There is plenty of space and light but not overlooked. There is wicker seating for 5 and a digital radio / CD / docking station. Seating for 6 round a large wooden table, feature fireplace and chandelier. There is a large under stairs cupboard for storage with cleaning equipment. The sideboard has local information leaflets and there is a large scale location map on the wall. There is a digital radio on the side board. Fully fitted with dishwasher, oven, hob, washing machine, tall fridge/freezer (50/50), microwave, toaster and kettle with a stable style door out onto the garden patio (ideal for serving up an outside meal or cooking and keeping an eye on the children or dogs playing in the garden). We have many comments in the guest book at how well equipped the kitchen is. Bedrooms – we know how important a good night’s sleep is, especially whilst on holiday! All bedrooms have quality firm / medium mattresses and feather bedding (mattress & pillow protectors on all beds). We regularly have guest feedback to say how comfy the cottage is. King size bed with wardrobe, chest of drawers and two windows letting in lots of light. Bedside table and lamps. Double bed with built in wardrobe, bedside tables with lamps plus hairdryer, iron and ironing board. Wall mounted flat screen TV with built in freeview. Single bed plus a trundle bed (so can be a single or twin). Nautical themed features and plenty of cupboard space. Bath with mixer hose for a shower, toilet, bidet and sink and a large linen cupboard. 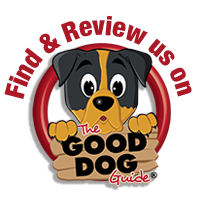 If you would like a delivery of dog food to the house while you are here, rather than bringing it with you, this local company will deliver for free and there are other local suppliers. “Loved – The cottage, everything we hoped for and more. Loved – The beach. So did the (exhausted) dogs! Loved – The village, so friendly and unspoilt. Loved – The weather! Sunshine and blue skies in December, lucky us. From the A149 Stalham by pass take the turning just north of Stalham signposted to Bacton, Walcott and Gas Terminal. Turn left at the end of this road (Stepping Stone Lane). Keep going on this road, the B1159, past East Ruston church on your right and a wind turbine on your left, for approximatey 4 miles until you reach the crossroads, Ridlington to your left and Happisburgh to your right. Go about a mile until you come into the village, past the fish shop, then the road on the left up to the pub, then past the school and small shop on the right and keep going until you reach the turning signposted to the beach (Beach Road). The driveway for Orchard Cottage is just diagonally opposite this road with the garden fence of the house running parallel with the road. WOW! What a fabulous house! We walked in to find a fabulous greeting - cake, flowers, wine. House had everything any one could need. Lovely house. We wanted to buy it as soon as we walked in. Amazing garden (5 Yorkies) they had a fantastic time. Maisie, Millie, Meg, Casey and Blle say thank you for their treats. The beach was great. We have had lovely weather the walks have been lovely. All tired from them. Visited many places and stopped for refreshments, all great. Thank you for an excellent time. Could not fault any thing. Holiday went very quickly. Can not wait for a return visit. Thank you. Ros, Richard, Meg, Millie and Maisie, Casey and Belle. We have had another lovely week here. Our second time and it won't be our last. One week just isn't enough to see everything and visit all our favourite places. Back to Sheringham Park this week with a walk to Weyborne station.T illy and Tasha adore the garden and 'Peter' rabbit! Visits to the usual favourite pubs - you can't beat the fish and chips at Nelson's Head. Thank you for the cakes etc, most welcome! This is our 3rd visit to Orchard Cottage - think this says it all! The cottage and garden is perfect - welcoming, spotless and homely; a perfect combination. We enjoyed food and drink in the Hill House as usual, as well as our other favourites such as Smallsticks, Nelson's Head (Horsey) and the Ship Inn (Mundesley) and Poppylands. Lots of lovely beach and country walks, lazy afternoons in the garden and a day boat from Wroxham made for a great week. I am sure we will be back for a 4th time! Anne and John, Naomi and Ryan with Holly and Bracken. Fabulous week – cottage secluded with a wonderful garden which both dogs and grandchildren loved. Lots of lovely walks on the doorstep. Loved the local seafood shop (Fair Maiden) and cafe by the lifeboat station (Smallsticks). Star Inn and Gunton Arms by far the best food in the locale – highly recommend both. Visit to seals was worth every penny! Thank you for cakes and dog biscuits – all consumed with relish. Our second time at Orchard Cottage – it did not disappoint. (2 wonderful weeks) We hope to return next year. Thank you. Kate, Vernon, Pauline and the 4 dogs. Bure Valley Railway and Cruise – again, take dogs. Great day out. Great cottage, wonderful garden for our husky Anyah to run about in which is important to us, for it to be a secure garden, and it is. This is our 4th stay with East Ruston Cottages, having stayed in Happisburgh, Sea Palling and Hickling before and this is the best cottage/garden for us we would say. We treated ourselves to an experience with Happisburgh Owls (booked up before we arrived) which was super – 5 minutes walk away. Hired a boat at Sutton Staithe Boatyard, hired 2 x private pools nearby and climbed the church tower and lighthouse as it was open for Easter. Despite arriving a day late because of the snow, it has been a great break away from hectic Sussex! House is super and probably the best of all the East Ruston homes we have stayed in. hope to return as dogs love the secure garden and we love Happisburgh. Thank you for the cake and strawberries. Another lovely week! The weather was fairly kind for the time of year. Thank you for clean accommodation and lovely tasty cakes. We have really enjoyed our week, so thank you! This is our 3rd time here at Orchard Cottage , we love it! Everything we need is here! Thanks for the cakes and dog biscuits. We just love the village location and access to other towns is easy! We will be coming back at some point for sure. What a fantastic find! Our fourth visit to Norfolk, but first visit to Happisburgh. Orchard Cottage exceeded expectations – very well equipped and super secure garden for the dogs. We really enjoyed this cottage as our warm and cosy base for exploring. Highly recommend a visit to Happisburgh Owls – five minutes by car from here, very close up and hands on with the owls - book first (Sandra Dalzell – 01692 651501!) or look at the business card on the wall. Super walks and have left copies of some we printed! Holkham beach was fantastic long stretch of beach for dogs and their walkers. Walk at Horsey to see the seals, there were more than we could count! Blickling Hall was a great circular walk around the estate. And our final recommendation is the Sunday carvery at Happisburgh Halt, very friendly, generous portions and great value for money! Thank you to Leonie for the very welcoming flowers, cakes, milk etc and for the monopoly which provided an evening’s entertainment! Also much appreciated the loan of a slow cooker! We will definitely be letting other dog owners know of this special place. Simon, Helen, Lucy, Nikki and the pooches! This was our first stay at Orchard Cottage and it was very much enjoyed by us all. Our dogs loved the garden, days spent out on various beaches, visiting Bacton Woods and of course breakfast at The Kingfisher Cafe! Definitely hoping to come back again next year! We love the cottage, all 5 of us and our two dogs. It is so lovely and warm and very cosy! We have loved the warm fire and just watching the TV and lazing round the cottage. We love the beaches, went to Cromer along with everyone on New Years Day. We definitely hope to be back! Our first time at Orchard Cottage, loved it so much we have already booked to come back again! What a lovely cottage and garden, just right for our 3 dogs. Not so many beach walks this time but we certainly did a lot of other walks in the countryside. We took the car to Horsey to see the seals and loved it! We also went to Pigney Woods which was very quiet and amazing! THANK YOU! We have had a super week in Orchard Cottage and we certainly hope to make a return visit. All of our needs are catered for, especially our 4 legged friends. The weather has been very good for the time of year and we just loved how sociable everyone has been. We have had a few meal at ‘The Star’ in Lessingham – fab food, just be aware of the larger portions!! also massive thanks for the welcome pack it was very much appreciated! We had a slow going journey down to Orchard Cottage due to traffic hold ups, so the gorgeous cakes and strawberries were very welcome, thank you! We have thoroughly enjoyed our first visit to the cottage and look forward to returning next year, as we had already booked prior to this holiday! Our two whippets loved the variety of walks locally, especially the beaches. They loved the biscuits that were here for them, made by Nero’s kitchen, and we have purchased some to take home with us too! We paid a visit to Kisi Canine Accessories in North Walsham and we definitely highly recommend it. Its a fabulous pet shop with lots of goodies for the dogs. The staff were so helpful. Holt is well worth a visit. We enjoyed a very tasty carvery in the Feather’s Hotel and it is also dog friendly. Another dog friendly recommendation is the Gunton Arms. The food and service was first class! All in all we had a very relaxing week in beautiful accommodation. See you next year! We’ve had a wonderful week staying here at Orchard, we’ve stayed at a number of different East Ruston Cottages and this one has been our favourite so far – a perfect combination of child and dog friendly. Perfect location for the beach and playgrounds for our 2 year old. The dogs had a lovely – great walks and they’ve loved sunbathing and playing in the garden . Nice to be in a cottage so well equipped for the dogs and children – our son is particularly going to miss the pirate treasure chest in the bedroom! We enjoyed the cakes and strawberries on arrival, also the dogs enjoyed the biscuits! we’re already planning our next visit to Orchard Cottage – Thank You! We have had a fantastic holiday at Orchard Cottage. The house is lovely and what a beautiful garden! Thank you for the cakes on arrival – thank god there are so many walks to explore as all the eating and drinking in dog friendly pubs/cafes would have taken its toll! It was our first time here and I am sure that we will be back. We all loved the beaches and every walk we did was different, also loved the seals at Horsey. Amazing meal at ‘The Star’ Lessingham – never seen such a large plate of food! Thank you so much. Another brilliant holiday here (3rd visit) Perfect for the 7 dogs! Thank you for a wonderful week in Orchard Cottage.. We and the girls have had a lovely time! The beach is wonderful at Sea Palling, totally recommend wildlife boat trips. The dogs loved the garden. Felt really homely and everything we neeeded here. Can't wait to come back. What a fantastic week! Orchard cottage is absolutely fabulous, so well equipped and comfortable. A real home from home. Te dogs were all delighted with the garden to sunbathe in and play. The weather was amazing, breakfast in the garden every morning. Beach walks, sunshine, home comforts all in all a great holiday. Many thanks, hope the good weather continues for the next lucky occupants. Our second stay at this wonderful cottage, just as good as our first visit and we are back again in April! The dogs and our grandaughter have loved running around the garden. The weather has been kind to us and it has been lovely to sit outside and listen to and watch the birds. The location is fantastic and as usual the welcome and feel at the Hill House were seond to none. Thank you for a lovely holiday. What a fantastic week we have had. Lovely welcoming cottage, fabulous garden and unbelievably glorious weather, hard to believe it's still only March. We have had breakdasts and lunches in the garden. The beach is great, even at high tide there is sand to walk on. We went to Horsey Beach to see the seals, they went as far as you could see, an amazing sight. The cafe was excellent too. We did the 7 mile circular walk from here, not so sure the dogs were so impressed but they slept well afterwards! Also ate a couple of meals in the Hill Horse Inn, very friendly with good food. The meal of the week goes to the Dun Cow, absolutely amazing, we can highly recommend. We stopped there on our way back from going to the beach at Wells-next-the-sea/Holkham Beach - huge huge beach. All in all a fabulous week, thank you for having us. Doug, Jacqui, Dave & Teresa (two legs! ), Noddy, Bailey & Ella (four legs!). Our first time at Orchard Cottage and we loved it!!! The garden was great for the dogs (Eli and Albert) and the weather has been so lovely we have enjoyed sitting out in the garden with them. It was great being so close to the beach which the dogs enjoyed every day and met lots of new friends. We also took them for lots of walks in Bacton Woods and Fairhaven Gardens - would recommend both! The Hill House pub also welcomed them and the beer was good too! We will be back in November, and probably for other visits after that too! Thank you for our relaxing Autumn break in Orchard Cottage, so well placed for dog walks and days out. It is always so nice to find somewhere so doggie friendly. Thank you from the hooomans as well!! Got a last minute booking for Orchard Cottage. What a find! Had a wonderful time - loved the cottage and garden (am envious of your lovely pot plants!) Thank you for the lovely cakes - sadly Tyler has pancreas problems so couldnt enjoy the doggie biscuits. Walked on the beach every morning then went exploring later in the day.Cromer beach is great, can walk for miles and lots of rock pools to explore. Bacton Woods are great! We went twice! Very much hope to come back next year. Thank you for a wonderful stay at Orchard Cottage. Could not have asked for more. Our four dogs have loved the beach walks and are now worn out. We hope to come back soon, Thank you for the treats from dogsies and humans! Brilliant cottage - we relaxed in style! Lovely interior, super dog-friendly garden and thank you for all the delicious goodies and milk, much appreciated! We've crammed in so much stuf this week and the dogs, Goose and WInter (Weimeraners) have loved every minute, especially the beaches, and no rain! Nearly time to go home and the fridge is empty so fish and chlps this evening at the local pub. Would recommend Holkham Beach and East Ruston Old Vicarage Gardens (leave dogs in the car) and the Swan at Ingham - both nearby (ditto with dogs) Thanks a million. Thank you so much - loved it all. Cottage wonderful, lovely and clean and comfortable. All the dogs enjoyed the garden and so did we. Managed to have a BBQ and sunbathed! Beaches amazing. Had a lovely holiday and great weather. Everyone so friendly and thank you for the treats. Thank you. Great to be back in Orchard Cottage again. Our second visit was just as good - in fact, it felt like we were coming home! Hill House pub just as welcoming as last year and worth a visit for dinner and beer. Can also recommend Broadland Cycle Hire in Hoveton. We had a lovely afternoon cycling around quiet lanes and villages. We can’t wait to return. Orchard Cottage is ideally situated for the beach. It really suited us and our 3 dogs. Lovely long walks and enclosed garden. Lovely welcome and all the little extras appreciated. Thank you from the Taylor Family. We also had excellent weather all week. The cottage is really comfortable and we really enjoyed the dog proof garden. We can recommend The Gunton Arms for dinner. We also enjoyed many lovely walks. The village is very friendly with a very useful shop that sells almost everything and open from 9am Mon to Sat and just a few doors down from Orchard Cottage. We expect to come back! PS Thank you for the lovely cakes and dog biscuits! Our first stay at Orchard Cottage - and we will be back! Thank you for providing such a lovely cottage. Wonderful location - beautiful beach...and so near! We have visited Cromer and Wroxham and both are well worth a visit. However the local beach is our favourite! This has been a truly wonderful holiday. We've loved it! Kids have loved it! Dogs have loved it!! Thanks again. Wow! What an amazing cottage and village. We have had the best week - thank you, Leonie and Pete! Lovely cake, fruit and doggie bics too! The cottage was so clean, well-equipped and homely. Adults, children and dogs all very happy! (Until it was time to go home!) A lovely big garden for the boys (dogs!) to run around in and the children loved playing hide and seek out there too! A fantastic location - perfect! We visited Bacton Woods, enjoyed by all! We visited the lighthouse on the open day and climbed to the top - great views!! The children enjoyed crabbing, canoeing on the front and spending money in Cromer - it was lovely to come back here for peace and quiet afterwards. The local beach and park have been well used - what fantastic views from the beach too - so dog friendly - perfect!! The highlight was meeting Sandra and her owls, what a lovely lady - makes you feel very welcome and what a privilege to get so up close and personal with her beautiful and well cared for owls (Happisburgh owls). Well worth a visit. Her dogs are gorgeous too! We hope to be back next year, the year after and the year after that! We have had an amazing time - wish we could stay longer! The cottage is lovely and the dogs have loved the massive garden to stretch their legs in every day! Being so close to the beach has been brilliant! First time in the sea for our two rescue dogs. We were so lucky with the gorgeous weather. We couldn't have asked for a more perfect holiday! I feel we will be back again. Lovely cottage, everything there for the humans and 'their best friends'. Visited many places of interest plus a nice daily visit to the beach. Everyone here friendly and accommodating, so much easier when our doggies are made very welcome. Thanks again. We have had a lovely holiday! Weather has been a bonus. The cottage is beautiful and welcoming. Thank you for the cake, strawberries and dog biscuits - lovely touch! The local beach and the surrounding beaches are beautiful to walk on with our Vizla, Luka. We would love to come back and stay again. Many thanks. Our second stay at Orchard Cottage and we are just as pleased as last year. We have discovered beaches from Winterton On Sea to Mundesley, new places for coffee and cake and the Hill House Inn Beer Festival. The great thing is that the dogs came too! Its really good that they are as welcome as we are! The cottage, the village and the surrounding area has been the perfect holiday destination for us and we will plan a future visit without fail. Have a great year, till the next time. It's been a pleasure to holiday once more in your wonderful house - home from home. Beanie. Tilly, Pebbles, Holly, Halty have had a great time in the garden. Just being able to let them wander at will is amazing. This is such a beautiful coastline - unspoilt and wild by the look of the debris on the beach! enabling us to take leisurely walks. The icing on the cake has been the weather. Sunshine all the way (same for next year please!!!) Looking forward to next year. Our second visit to Orchard Cottage was just as successful and enjoyable as the first! Cottage and garden are brilliant! Treacle's aging legs were glad of just a short walk to the beach, Smallsticks Cafe is well worth a visit, as is the Lighthouse Inn on Walcott Road. We hope to come back again, thank you! This is our first holiday with 9 dogs! We all had a fantastic time, Loved the cottage, garden, walks and hope to rebook! Orchard Cottage is the perfect holiday home! The cakes, strawberries, plants and fresh flowers and doggie biscuits and general attention to detail were astounding, will be telling all our friends. Millie, Maisie, Minnie, Dolly and Albus, the miniature schnauzers have never had a holiday all together before this one. What an amazing place to bond and have fun. Great enclosed garden meant they were safe to charge!! Followed by long walks on the wonderful beaches. To be honest, they only needed the humans to open their food and flush their loo!! Thank you for making it possible. We will be back!! This is our second year at your lovely cottage. We had a very restful and relaxing time. Been to the lovely beaches and had some great meals out at the local pub. Once again, thank you for such a lovely stay. Will be back next year for sure. What a gorgeous house! Had a lovely time despite the dodgy weather at the beginning of the week (the Disney jigsaw kept us all amused). Loved the closeness of the beach and being able to take the dogs without driving them was a definite plus. Thank you for the cakes and Easter treats. A lovely touch. Many thanks. Another great holiday enjoyed here. Thank you for all the nice touches, the flowers, the cakes, the dog biscuits. Lovely house to stay in and return to after a walk on the beach. Hopefully we will be back. As per last time, never fails to impress. Enjoyable and comfortable stay was had by all. Thank you for the welcome pack it was very welcome. Much love. We have had a great relaxing week! This place is perfect for a holiday with dogs. It makes all the difference staying within walking distance to the beach compared to our last holiday in Norfolk where we had to drive them everywhere for a walk. The garden is great and a delight for the dogs to roam around in. The carvery at the pub in the village on a Sunday is amazing!! Thanks for the cakes and treats , it was a very nice touch. We will definitely be coming back. This has been out second stay in 3 months! A fantastic little cottage in a superb village with the most amazing beaches. Our dogs were made to feel very welcome everywhere we went. Orchard Cottage is so cosy, homely and comfortable. The lovely extras on arrival were a welcome find. A relaxing and restful week we have had here. The weather has been really kind with bright sunny days and no rain!! We will be back for another winter break in Orchard Cottage in the beautiful area known so fondly as Happisburgh. This was our first holiday away with our dogs - they normally go to the kennels. We've had a fantastic, relaxing time - lots of long walks on the beach. The kids have come back soaking every time - the sign of a good time. The weather has been really kind, we have had 2-3 glorious sunny days . The seals at Horsey are an amazing sight - we have been there twice. A game of mini golf at Wroxham Barns with the kids was fun yesterday. This has been a great cottage, one we all felt we could truly relax in with the dogs. The cakes and dog biscuits were truly appreciated - many thanks. This is our second visit - lovely, lovely cottage. Loved the beach walks, visited Cromer, Overstrand, Mundesley and Winterton-On-Sea. We had a nice, relaxing week. Weather was sunny, apart from Sunday/Monday - the wind / rain was ferocious. Went to Horsey to visit the seals again. Will definitely be back. This is our second visit to Orchard Cottage. We LOVE it!! Beautifull cosy cottage with everything you need. Very clean. Lovely bedding. VIP dogs catered for more than anywhere else we have ever been. Loved our beach walks but Bacton Woods was lovely too, well worth a visit. Gunton Arms - visited twice. Coffee in front of a huge fireplace whilst watching the deer roam by outside the window. Very special place. Eggs for sale on the little road to the beach. They are wonderful. Make sure you buy some. We love this little escape and will be back. Appreciated bedside reading lights. Thank you for greeting us with cake and biscuits. We loved exploring the beaches and woods and were really excited about seeing a family of wild seals for the first time. The cottage was really divine and homely. Fantastic cottage, village, beaches, walks. Pub with great beer and food! What more can you ask for? We have fallen in love with Happisburgh. We don’t want to go!!!! Many thanks. Three weeks was wonderful. Thank you for the lovely cakes and Arnie enjoyed the dog biscuits. The cottage is amazing and so well equipped. Leonie and Pete even accomodated us when we had a surprise visit from our daughter and grandson with a travel cot. With family and friends over Christmas and New Year it was perfect - very Christmassy with trees, holly and wreaths. The beach was great and the seals were on the beach most days. We really dont want to leave, this holiday has been the best ever. Thank you again, Leonie and Pete for all your hard work in making this cottage a fantastic cottage to stay in. We will definitely be back. Another lovely holiday at Orchard Cottage. Weather mild and dry. Lovely walks on the beach with the dogs. So nice. Locals are so friendly. Hope to be back next year. We have had a lovely stay and the weather was kind to us. The cottage was very comfortable with everything considered. We wanted to come back next year but you are fully booked when we wanted, not surprisingly. Lovely cakes on arrival were very appreciated on our long journey from West Yorkshire. The doggies loved the biscuits too. Our second visit to Orchard Cottage. Absolutely brilliant again. Such a lovely dog friendly cottage perfect for our 8 dogs!!! We've had a great week, lots of walks on the beach, fairly good weather though the rain and cold winds didnt stop us one bit! We absolutely love Happisburgh - visited the Hill House pub on Sunday for a roast and the excellent selection of real ales. The cottage is just perfect and so well equipped. Leonie and Pete have thought of everything. Thank you for the lovely cakes and biscuits for the dogs, they were very much appreciated. Our first stay in Orchard Cottage but not our first to the area. Beach walks every day - Smallsticks the first day, a trip to Winterton-on-Sea the second (highly recommended - beautful beach with dunes. The Dune Cafe is well worth a visit and very dog friendly. Sea Palling is fab for the calm sea and the dogs can easily swim. We visited the owls at Happisburgh Owls - a private viewing for several hours and holding all the birds. Lovely lady and stunning owls *HIGHLY RECOMMENDED*. She is in the village and can be found on Facebook. She was wonderful. The cottage has been wonderful for us all including the three labradors, Coal, Finn and Jed. Thank you and we will be back. Our very first stay in this part of Norfolk and must say it wont be our last. Lovely beach walks very special as our youngest pup had never seen the sea. She certainly slept well afterwards. So peaceful. Weather good for November, the odd shower but nothing too horrendous. Lovely cosy cottage with everything thought of, and a fantastic garden which I know the dogs will miss. Thanks Leonie for being prompt and attentive answering my queries. Much enjoyed our stay. Sitting here in this perfect holiday cottage not really wanting to go home. People and dog friendly house, without showing any signs of previous dogs being here. Everything we could have wanted was here. Perfect location for beaches and National Trust House – Blickling Hall and Felbrigg perfect for rainy days. Every beach dog friendly and we saw seals at them all. Highly recommend Cromer for a visit. Also Blakeney for seal watching trips (dogs allowed) and Bure Valley Railway and trip on the Broads from Wroxham. Will we be back? Like a shot. What a fantastic cottage this is. We are old hands at dog friendly self catering cottages, but this is amazing! Normally we manage to find something that we desperately need, and isnt included in the kitchen utensils etc but this defeated us....everything is provided :) (We have been known to take our own knives, favourite pans and glasses, sad eh?) Our Piggy Pugs couldnt keep away from the fruit (cherries?) growing next to the back gate. A truly welcoming and happy cottage – thank you x. Cakes and strawberries very yummy!. Having arrived early on Saturday it was a shock for Leonie and Pete as well as Leonie's dad Daave, but all we can say is what a warm welcome we had. We were immediately stunned by what an awesome place it is and could not wait to get unpacked and the doggies were chomping at the bit to explore the garden. Overall we have had a great week with plenty of walks which were enjoyed by us and the dogs and then back to the house to have some fine foods (as cooked by the house chef) and drinks, followed by relaxing in the lounge in front of the burner which was also doggies favourite place in the evenings after a hard days walking. All in all we had a tremendous week and Orchard Cottage is a credit to Leonie and Pete and we look forward to returning at some point in the near future. What a lovely cottage, so clean and floors so practical with our 4 pooches. We had a great time and had some lovely walks on the beach and along the headland. We also had some great walks at Winterton, and the dogs loved the lagoon to swim in. Had some lovely meals at the Hill House Inn up the road, and The Lighthouse Inn. The Dunes Cafe at Winterton does the best scones. That good, we are calling in there on our way home! The cottage is brilliant and has everything we needed. The pooches loved the garden and we did too. Hope to return soon. Thanks. Well, we had a stressful start to the holiday, when Sainsbury's muddled up the postcode and delivered our online shop to N12 (London) instead of NR12! However, the Hill House Inn did not fail us that evening with its hospitality and excellent food and fortunately, we had brought a bit of dog food with us. We have had a wonderful week, our second year here, and looking forward to next year already. Thank you Leonie and Pete, for all the 'extras' which add that something special to an already truly wonderful cottage. Had a great week making use of the beaches with our two dogs. Weather was kind and the house is beautiful as with all the East Ruston Cottages. Proximity to the beach is a real bonus with this property. Despite the weather, we managed to do a long walk each day – enjoyed by dogs and humans. Would recommend the walk from here to the Star Inn at Lessingham, although need to check whether or not there is food that day. Bacton Woods is another lovely walk. If you want to venture further afield, there are great walks around Ludham and Reepham (approx 8 mile walks). Great holiday enjoyed by all. We will be back again! Visit Horsey and see the seals, followed by lunch at the Nelsons Head – food served all day! Our second successive visit to Orchard Cottage was equally enjoyable as the first. Perfect cottage, perfect village, perfect location. I defy anyone to find a better holiday environment than Happisburgh, if I could I would move here in an instant. Dogs thoroughly enjoyed the beach and were quite taken with what was on offer at the first class 'Smallsticks' cafe an absolute must visit. For anyone wanting to try a different beach for dog walking, try Winterton on Sea. It offers a huge expanse of golden sands. Thank you once again Pete and Leonie for allowing us to have the use of your lovely cottage, a perfect home from home experience. Also thank you for the lovely cakes! Thank you again. Had a lovely week here, garden is fantastic for the dogs. Brandy and Bailey loved it and spent many hours running around! Thank you for the doggie biscuits and cakes. We enjoyed them with cuppa when we arrived. The house is great – everything we needed and more. Such a friendly neighbourhood. Hill House is lovely, food was great and staff very welcoming. Had a lovely chinese takeaway from the Hong Kong in Stalham village and Indian takeaway from the Cinnamon in Stalham. Crazy gold and gift shops in Mundesley were good too! Can imagine it being just as lovely here in winter with roaring fire. Thanks for having us all! What a beautiful and well equipped cottage and spotlessly clean! The cakes etc were a lovely welcome and much appreciated. We have all enjoyed our week in Happisburgh (wish it was longer!! Smallsticks is as lovely for food as ever and we found the food, drink and welcome at the Hill House pub to be excellent. The dogs have enjoued playing in the garden and curling up on the sofas at the end of a long day – or cooling off on the lovely tiled floor! We all enjoyed a great day on the Broads from Stalham Staithe and many beach walks including visiting the seals at Horsey followed by a lovely meal at the Nelsons Head and a few pints. The cottage garden was also excellent for seeing the meteor shower on Wednesday night and for enjoying several games of boules with a glass of something chilled! Thank you for providing a fantastic holiday cottage – we would love to come back. Thank you for a lovely cottage – we had a great time – weather – beach – fantastic. Its so nice to be able to bring my dogs (4 cockers) and relax. Dogs enjoyed the beach walks and dove watching. We look forward to coming again. Thank you again. Thank you for a perfect week. Absolutely everything was brilliant and would definitely like to come back. Another gem for East Ruston Cottages. Absolutely faultless. A lovely cottage with everything anyone could want. Our 2 grandchildren and the dogs enjoyed playing in the garden and on the beach. Thanks to Leonie for the lovely cakes on arrival, just what was needed after a long journey and started our holiday off perfectly. We will be back soon. Had a lovely time at Orchard Cottage. Zeus and Cindy enjoyed the large garden and lots of time on the beach. The Hill House beer festival was really good. The best part was 'drink up' Tuesday and Wednesday when you paid £5 and could drink as much as you liked. I've never had a 'self service' day at a beer festival before. We enjoyed it a lot! Thank you for having us! What a glorious week we've had at Orchard Cottage. A lovely warm welcome, fabulous weather and time to relax and unwind. The house and garden are better than we expected, the photos on the website dont show it off to its best. The beach and woodland walks just added to the whole experience. The four dogs are as chilled out as we are and have certainly enjoyed the freedom of the garden as well as the long walks. The cottage is definitely the cleanest and most well appointed we've stayed in and we will most certainly be returning for another visit. We all had a great time here. Lovely cottage, dogs loved the garden. Will definitely be back next year. Hero, Noah and Toby loved the dog treats. The humans loved the fairy cakes. Oh, just a thought – The Greyhound in Hickling serve lovely food, the love dogs and we've been there twice already and going on our last night. If you need fresh eggs, pop up Beach Road, opposite the cottage and grab a box for a fee while the sausages are cooking – lovely! LOVE the dog treats – bought some to take back – shall be ordering more. What a lovely surprise - our first visit to Orchard Cottage and to Norfolk for a holiday. The cottage is 'home from home' with all necessary comforts, the garden, including secuirty, is perfect for our 5 dogs - they had a great time in various doggy pursuits involving chasing, running and general mayham. Norfolk is lovely - the people are friendly, so many 'dog friendly' cafes & pubs - recommended Poachers Pocket at Walcott and Hill House Inn at Happisburgh. The beaches are superb, although some restrict dog access and our other superb experine was a cruise on a boat on the Broads - what an experience - we saw wild life including herons, swans, grebe and various other water birds - Magic! (Driving the boat wasn't too difficult!) Looking forward to our next visit - not enough time to savour the delights of this area. A wonderful location in an excellent location. We love the quiet of Happisburgh – our 3rd visit after finding this gem of a village. Lovely beach where the dogs can play all year. The Star Inn at Lessingham is a great place to eat and very welcoming. Worth looking to see what's on at the Church rooms. Often have coffee mornings or cream teas at excellent prices. Thank you for a wonderful stay. Lovely holiday in a beautiful cottage, very clean and cosy. Enjoyed our stay in Happsburgh very much, lovely sandy beaches. Sky enjoyed your lovely large garden. We will be back next year for sure. We had a fantastic Easter week here in Happisbugh. We loved the village, the cottage and the beach. So nice to stay somewhere where dogs are so welcome! They loved it! We would love to come back and stay again. Thank you very much.